Salsa & Zouk lessons every Thursday at 8:30pm followed by dancing in a fun and casual atmosphere at the Balançoire Restaurant & Club in SF (formerly at El Valenciano). Salsa Holic Ron teaching West Coast style salsa on the main floor and Anthony & Collyane teaching Zouk upstairs, no partner or experience necessary. 2 rooms for dancing, with salsa/bachata room downstairs and a kizomba/zouk room upstairs. Food served until midnight and new drink specials at our full bar every week until 2am. I don’t know where to start. I had such an amazing time at the salsaholicthursday at el V. The dancers were so laid back, kind, very skilled and I was asked to dance all the time. The music was amazing, the dj really knew what he was doing. The organisers made me feel welcome by their kindness. The floor is very good to dance on and there was enough space to dance freely. I highly recommend this place and I will definitely go back there next time I’m around. Thanks Ron for your amazing warm attitude and for the good dances. I like dancing at El V. Very good ambiance and good music; I’m glad that they also played some bachata and meringue to mix it up. The dance floor was very smooth and was easy to spin on. Dancers keep coming and leaving throughout the night, I wish there was more people there. We need a new place to dance on Thursdays. Great music. Good partners. Fun times. 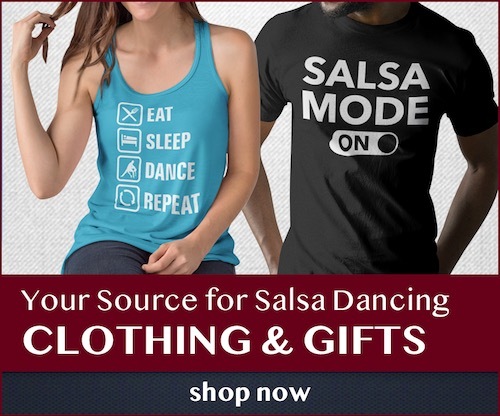 I am a true Salsaholic now! each week are what keeps me coming back. Ron has great, encouraging and dynamic energy and he has faith in YOU. He doesn’t give up and neither does his dancers. I finally bought some heals so that goes to show how dedicated and how much fun I have. I am an early to bed early to rise kinda girl, but this one night a week has recharged some tired batteries in me that keep me dancing through out the day let alone the night! See you on the dance floor on Thursdays at El Valenciano! Ron our instructor made the learning very easy and a lot fun. thank you Ron & you rock !!! !